Developing innovative manufacturing processes for lightweight structures. She has conducted extensive research work on developing novel low-cost hot forming processes for high-strength, lightweight and complex-shaped panel components for a family of advanced lightweight materials, e.g. ultra-high strength steels, Al alloys, Ti alloys, and Polymer Matrix Composites. Lightweight structural design and optimisation. Key enablers proposed by Dr Nan Li: New design methods relating to hierarchical optimisation and manufacturing constraints; and advanced Design-Manufacturing-Integrated modelling. All of Dr Nan Li’s research projects address real industrial needs, and tackle scientific and technological challenges in materials processing, manufacturing processes, and structural designs, through fundamental studies based on experimental, analytical, and numerical methodologies. The applications of Dr Nan Li’s research are primarily in automotive and aerospace industries. Dr Nan Li is highly motivated to explore technological innovations, particularly in relation to the design of novel manufacturing processes, mechanical testing methods and apparatus, and lightweight vehicle structures. She has authored 40 publications and contributed 10 patents. 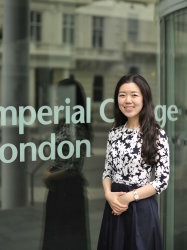 Her proposed research on producing vehicle lightweight structures is favoured by a wide range of industrial collaborators, including SAIC MOTOR (UK and China), Aisin Takaoka (Japan), TATA Steel (Europe), AP&T (Sweden), Lotus (UK), PAB Coventry (UK), Impression Technologies (UK), ESI (France), AVIC (China), Shougang (China), Doncasters (UK), etc. Nan was awarded the ‘Rowbotham Medal’ 2017 by the Institute of Materials, Minerals and Mining (IOM3) in recognition of her outstanding contribution to the development of the innovative use of materials for automotive applications. She was also recognized as one of the ‘Top 50 Women in Engineering under 35’ in 2017. Positions: PhD Studentships for 2018/2019 are now open! Projects: Studies on Crashworthiness-based Automotive Lightweight Design; Advanced Technologies for Dissimilar Materials Joining; Thermoforming Fibre-Reinforced-Thermoplastics. Deadline: Until posts filled. Position: one Postdoctoral Research Associate in metal forming. Deadline: Until post filled. For further details of these posts, please contact Dr Nan Li (nan.li@imperial.ac.uk). Interested applicants should send an up-to-date CV to Dr Nan Li. Suitable candidates will be required to complete an electronic application form at Imperial College London in order for their qualifications to be addressed by College Registry. Qualified candidates will be interviewed in due course.